Hi Mouse, thank you so much for speaking with us today and telling us a little more about your gorgeously unique property, Filly Island. Firstly, what do you believe makes your home so special? There are many reasons! 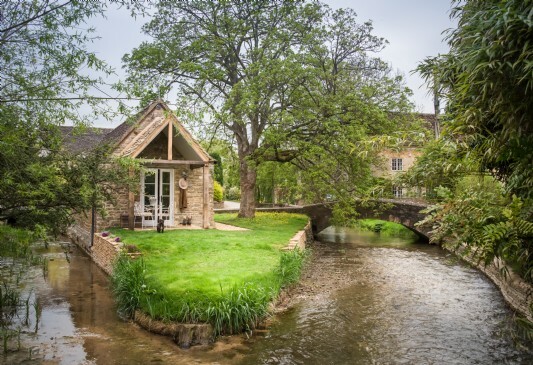 Not only is it on an island and situated in the heart of the Cotswold countryside, but is such a unique little house. 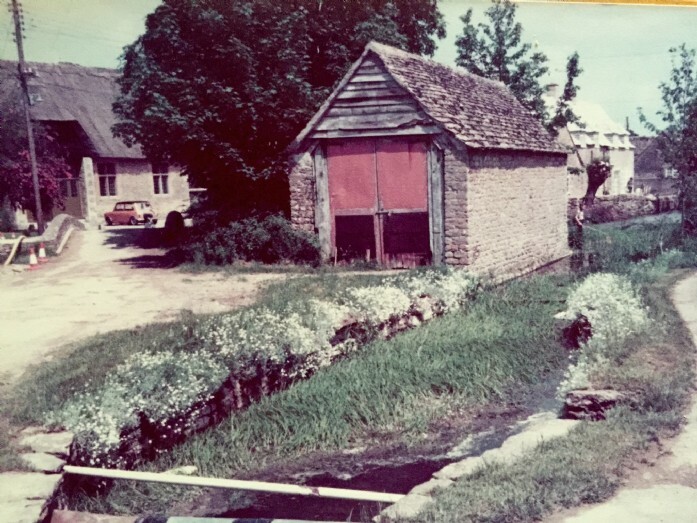 Starting life as a tiny shed used for storing a horse cart for the adjacent watermill, it later became a store for apples from the village orchard, and later still a garage for a retired Morris Minor and a play den for some of the local children... who are now 80+ years old! Wonderfully, the retired carpenter who did a lot of the latest work was one of these children! The previous owners who did the original conversion still live behind where the mill once was today. The stories behind a property really add to the appeal I think. The history woven through a property’s very core is what gives it so much character and allure, certainly for me anyway. We agree! The interiors at Filly Island are so striking- how did you come up with such a unique theme? Did you use a designer? I live opposite and fell madly in love with this intriguing little abode. 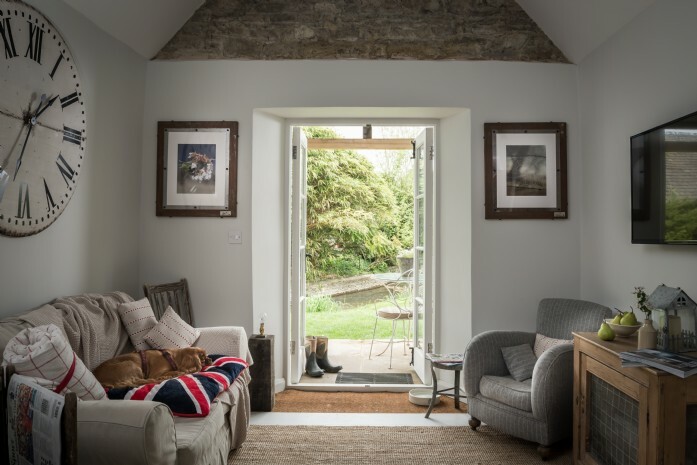 I wanted to retain its history and keep it feeling ‘old’ by using turn-of-the-century handmade items, whilst at the same time making sure it would be cosy, warm and comfortable. Primarily I wanted it to be a home. 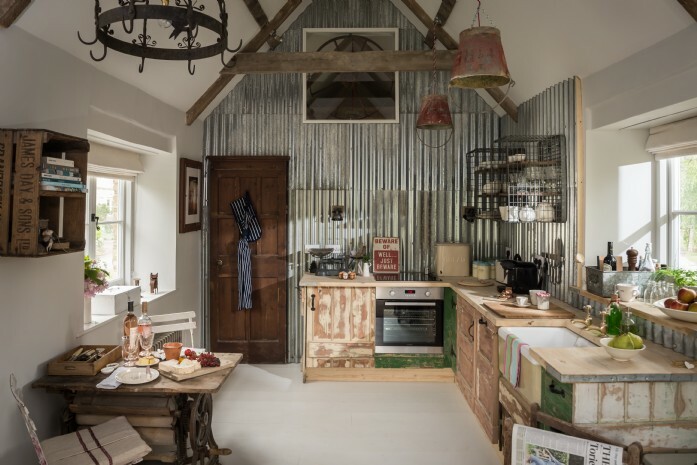 The idea that everything was up-cycled or recycled seemed to come to me quite accidentally - it was like being given a jigsaw puzzle and everything just fitted! This is what has given it its quirky character and own style. Can you tell us a little bit about the unique finds in the house? 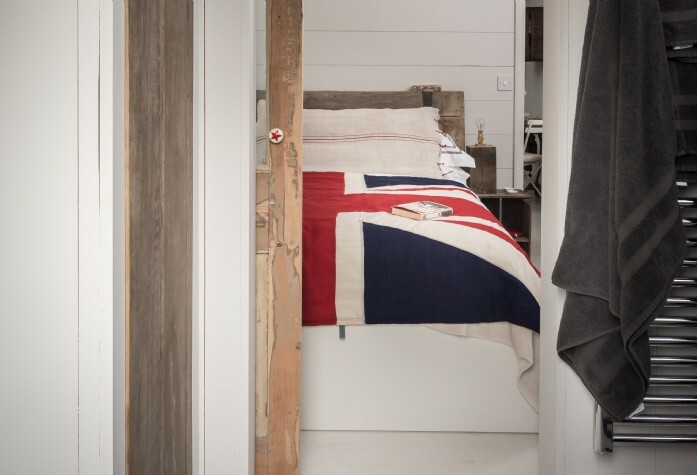 The house had to be completely modernised and we of course used modern materials for things like the plumbing and electrics, but where possible joists and framework that came out of the demolition got recycled and put back into the house. Everything that could be reused was and all other materials were sourced locally; this was very important to me. The porch is reclaimed oak and the leftovers from that are now used for the lamps in the house. The roof is made from original Cotswold tiles, as are the flag stones. Everything I “found” actually seemed to find me. The old larder door is now the bedroom/kitchen door, the wonderful old ball-footed bath which now proudly sits in the bathroom was found in a bush and the re-enamelled sinks came from the dump, as did the reupholstered sofa. 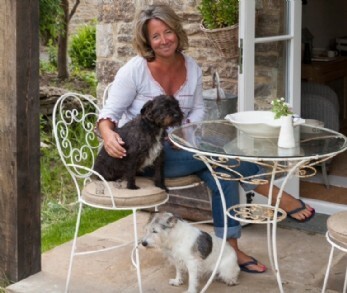 An old mangle has been given a new lease of life and is the now kitchen table, complemented by two French café chairs. All the china, photo frames (and photography) are from my ceramics company Made By Hands. 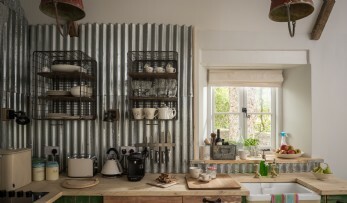 The kitchen worktop and shelves have been made from old scaffolding planks and the splash back made from corrugated iron. The ceiling lights are created from old fire buckets, some of the curtains have been recycled from Hungarian grain sacks and the wheel on the window by the sleeping platform is an original cart wheel dating from the industrial revolution! Wow, your vision and intrepidity is exemplary! So tell us, were there any hiccups along the way? My original carpenter fell sick, but in this case with every cloud there was a gold lining. Andy Beard stepped in - he is a retired "old school" carpenter and if it wasn't for him saying "Don't panic Mrs Mannering" to me, a lot of what you see wouldn't have been created. More special than anything was that he was born next to Filly Island and remembers playing in it as a small boy!